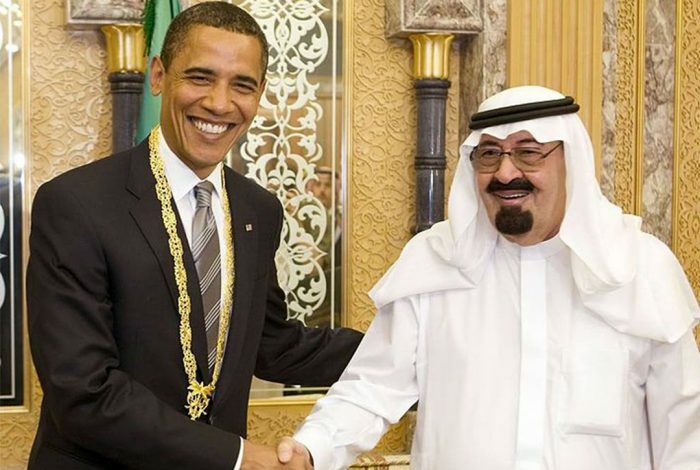 President Barack Obama meets King Abdullah of Saudi Arabia, July 2014. Photo credit: US Embassy Riyadh / Flickr. In the latest indication of a rolling government cover-up of the September 11, 2001, attacks, the Federal Bureau of Investigation (FBI) is disowning an explosive internal report that suggests high-level Saudi involvement. And Washington seems only too happy to accept this latest peculiar FBI apologia. The same FBI that attempted to hide its prior relationship with accused Boston Marathon bomber Tamerlan Tsarnaev—until that link was outed by the Russian FSB security service—is now rewriting its involvement in the worst terror attack on American soil. In this bizarre development, the Bureau claims that an internal FBI document indirectly tying the alleged Al Qaeda hijackers to a prominent Saudi prince was fabricated. If the FBI is telling the truth and its own agent simply made the whole thing up, that would in itself be a remarkable and essentially unprecedented development. But since we have reason to believe—as you shall see—that the FBI agent did not make it up, the Bureau’s claim is prima facie evidence of a cover-up: one that could only be authorized at the highest levels, for reasons which will become apparent. The new report, whose three co-authors include former Reagan attorney general Ed Meese and former Democratic Congressman Tim Roemer, credits the FBI with “making great strides” in protecting the country from terrorism, while scolding the Bureau for putting out incorrect information, back in 2002, regarding the alleged Saudi Connection. This seems like an odd time to go back 12 years to “clear up” the record. Indeed, former Senator Bob Graham of Florida, who co-chaired Congress’s Joint Inquiry into 9/11, remarkably told the Florida Bulldog, an investigative news site, that he did not even know that the newest 9/11 Review Commission existed—until this new report came out. And he expressed continued misgivings about the way the Saudi connection has been treated. In 2011, on the tenth anniversary of the still-astonishing attacks on the World Trade Center and Pentagon, a nonprofit Florida investigative news site, the Broward Bulldog (now the Florida Bulldog), published an article tying a number of the alleged 9/11 hijackers to a wealthy Saudi family living in a gated community in Sarasota, Florida. Neighbors had noticed that the family fled abruptly from their house just days before the 9/11 attacks—and investigators later discovered that the owners had left behind cars, furniture, clothing, food and other articles, giving the unmistakable impression of a hasty departure. The family never moved back. Further investigation revealed that some of the 9/11 hijackers had visited the Sarasota residence, and phone records showed communication with others. Evidence was corroborated in part by the direct knowledge of a security official at the complex, and a Florida senior counterterrorism officer. A subsequent article in the Bulldog revealed the existence of a secret FBI document stating that the house’s inhabitants had “many connections to individuals associated with the terrorist attacks on 9/11/2001.” It provided details and even mentioned that one member of the Sarasota household was training to fly planes at the same facilities as the hijackers. Protecting the Homeland—Or the Image of the FBI? The new report, which might better be titled “Protecting the FBI in the 21st Century,” offers no more information on this astonishing admission from the vaunted Bureau. It includes nothing on the agent’s identity or why this person would have fabricated such explosive information. Meanwhile, a credible source in South Florida told WhoWhatWhy that the likely author of the FBI’s now-disavowed 2002 document was actually promoted to a super-sensitive inter-agency counterintelligence position shortly after writing his report. WhoWhatWhy’s own investigation suggests that it is the Bureau, not its agent, putting out falsehoods. Last year, during a visit to the Sarasota area, I independently corroborated the crux of the Bulldog’s findings, and came upon intriguing new material which we are following up. And in a 2011 investigation, WhoWhatWhy substantially expanded the Florida publication’s original work. We exposed that the owner of the house where some of the hijackers hung out was an influential Saudi, a direct lieutenant of a powerful Saudi prince. And we described how that Saudi prince, Sultan bin Salman bin Abdul Aziz Al-Saud, was himself among the first Saudis to learn piloting in Florida. A leading advocate of teaching Saudis to fly, Prince Sultan is the founder and Chairman of the Board of the Saudi Aviation Club, and served as Chairman of the King Khaled International Airport (KKIA) Supervisory Committee. Mohammed Atta, the alleged ringleader of the 9/11 hijackers, trained to fly near Sarasota, as did some of his cohorts. Atta was one of those identified as visiting the house of the connected Saudis. Prince Sultan’s family is part of a Saudi clique identified closely with the Bush family. Jeb Bush was governor of Florida at the time of the pilot training and terror attacks. For more on this relationship, see our 2011 article and my book Family of Secrets. Sultan’s father, Salman bin Abdulaziz al-Saud, the former Saudi defense minister, became King in January, 2015. 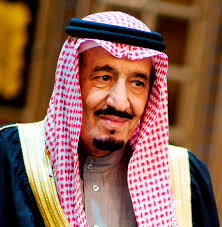 Salman bin Abdulaziz al-Saud, the new King of Saudi Arabia. This added context is absolutely crucial to understanding why the US government would be uncomfortable with further investigation of links between one its most important global allies and the 9/11 attack on America. There’s an almost obscene irony at work here. Although 15 of the 19 hijackers were Saudi nationals, the net effect of the 9/11 attacks was to strengthen the dictatorial hold of the Saudi royal family on Saudi Arabia, because that country was seen as essential to regional and global security—ostensibly as a bulwark against these very sorts of terror acts. Thanks to the games the FBI continues to play, the evidence suggesting operational links between high-ranking Saudis and the 9/11 perpetrators has been almost completely ignored by the American and international media, including almost all of the so-called “alternative” media. Surely it is long past time to ask who is being “protected” by efforts to keep this story from the public.